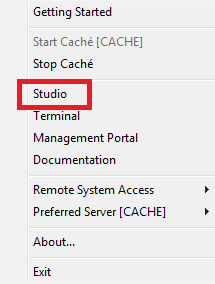 Click the InterSystems Launcher (Caché cube , Ensemble icon , or HealthShare icon , depending on your system) in your system tray and then click Studio on the launch menu. Verify that Studio is pointing at the USER namespace. 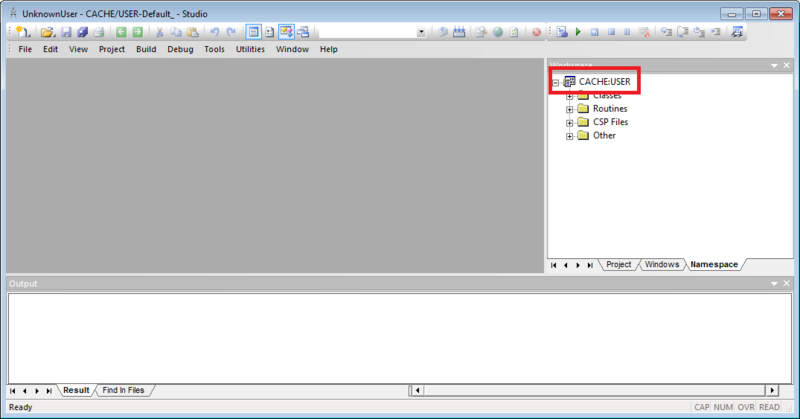 The workspace window indicates the current namespace. 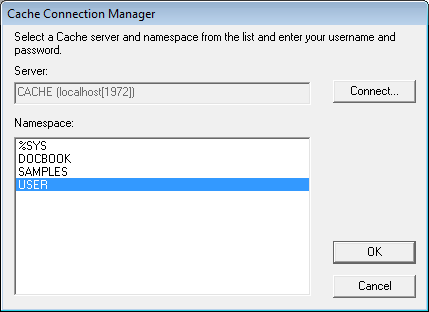 Click USER on the list of namespaces displayed by the Caché Connection Manager. Then click OK. Think of a namespace as a logical container for both code and data. The actual physical location of the code and data is one or more databases pointed to by the namespace. For more information on namespaces and databases and their relationship, please read Namespaces and Databases in the Caché Programming Orientation Guide. 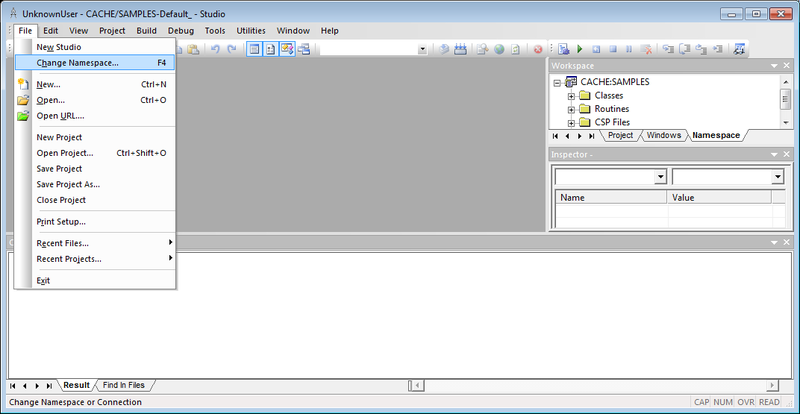 To learn more about using Studio read Using Studio.